"Was that kind?" is the typical reflection we give students when they haven't made the best choices. Problem is, kind is a vague word. It's an umbrella word that encompasses may actions. 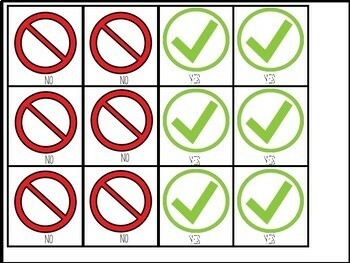 Instead of having giving a vague word in hopes that students understand this-- try using visuals. 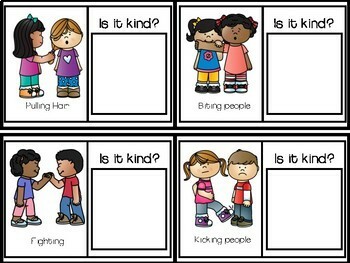 In this product, you will get 12 task cards displaying kind, and unkind actions. 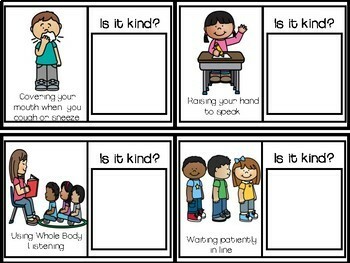 Students will get situational examples of being kind. 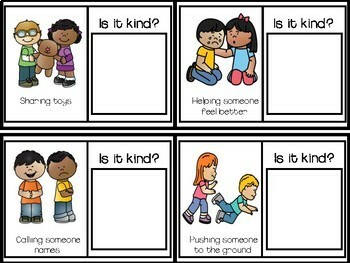 These visuals will help model the desired behaviors and help make such a vague word concrete. For a more detailed view of my products, check me out on instagram.